— The Black Snob blogger on Manhattan Institute Fellow and former linguistics professor John McWhorter. I am adding another regular feature to the Black on Campus blog. McWhorter Watch will join The Quotable Black Scholar, Black Milestones, Wordless Wednesday, and A Beautiful Black Mind as a recurring item. McWhorter Watch will track media coverage and published comments by Manhattan Institute Fellow John McWhorter. The former Berkeley professor is a popular commentator on race, culture, and politics, with a special focus on the African American community, higher education, and achievement. 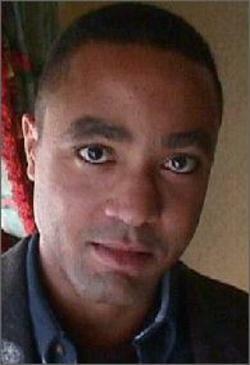 One of the nation’s most widely read Black intellectuals, John McWhorter’s opinions matter because of the ways that his high visibility and his predilection for publicly criticize what he perceives as the failures of U.S. Black culture and values has drawn a level of attention and high regard from the political mainstream rarely accorded to African American scholars whose writings on race are rooted in a critique of white supremacy. A Quick Summary of McWhorter’s Ideas: McWhorter’s critiques and analyses tend to grow out of his belief that key portions of the U.S. Black community have internalized a victim mentality that hampers their academic, social and economic progress. There is nothing new or particularly unique about this perspective. Shelby Steele, Ken Hamblin, Bill Cosby and many others have made similar claims in similarly public spaces. But — and this is a big but–McWhorter is not, strictly speaking, a conservative. A few years ago, in an article published in Oakland’s East Bay Express, he expressed amusement at the fact that his first mainstream book on race and achievement, Losing the Race, landed him on panels with conservative spokesmen like Orrin Hatch, most of whose beliefs McWhorter disagreed with. In this article, he offered up as proof of his left-wing credentials the fact that he voted for Nader in the 2000 election. Indeed, to read and listen to John McWhorter is to see the complexity of his beliefs. He does honestly seem to believe that African Americans have internalized a so-called victim mentality when it comes to how we think about racism, usually a strong indicator uncritical (and inflexible) conservatism on issues of race; and yet he also believes that white people have what one might call a congenital impairment when it comes to overcoming their own racism. McWhorter believes that white people come as far along the path to overcoming their own racism as they ever will. African Americans should develop strategies for individual sucess and the upward mobility of the group based on the likelihood that this current moment in time is as good as it gets; white America isn’t really capable of being any less racist than it is right now. I am intrigued by this suggestion because it seems to indicate that McWhorter’s analysis of Black-white race relations extends beyond a sole emphasis on the failures of African American culture, values, and communities to find fault with white supremacy and even with white people. This would make him a rarity among those African American scholars and pundits who are looked upon favorably by white conservatives. McWhorter’s breakthrough volume, Losing the Race, has a detrimental effect on the mainstream perceptions of Black students and scholars. It’s blanket assertions that African American students are, as a rule, underachievers, and that this perpetual underachievement is due to key failures in Black culture and values, have gone a long way toward reinforcing anti-Black stereotypes around race, education, and intelligence. In addition, his focus on the failures of Black students perpetuates the invisibility of the large number of Black students who are and/or who go on to be highly successful and effective scholars and professionals. And yet, McWhorter refuses to consistently occupy the space of the Black conservative contrarian. Sometimes — and more often than one would expect — he offers a perspective whose freshness derives from it’s flouting of both mainstream anti-racist rhetoric (Sharptonism, Jacksonism) and the worn-out grooves of conventional Black conservative thought. For the latest on McWhorter’s comments and controversies, watch this space. Great idea! This will prove to be very interesting! Can’t wait for more!